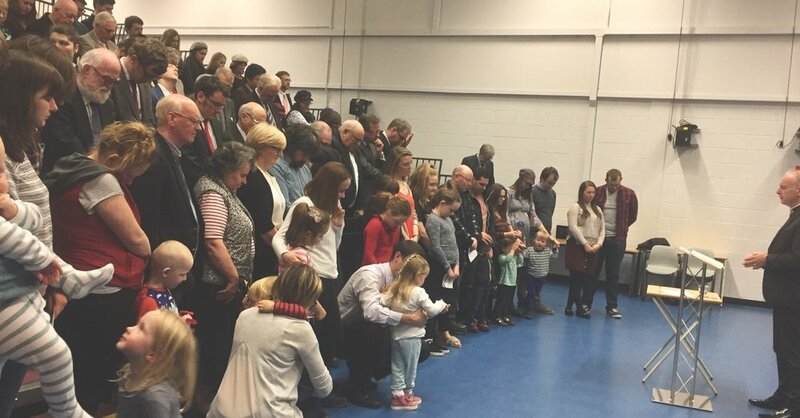 On Friday night, Stephen, Carla and Willow travelled to Edinburgh for the happy occasion of the constitution of the North Edinburgh church plant into a congregation of its own. Rev. Andrew Quigley (Airdrie) preached, speaking of how five years ago he had encouraged the small group interested in starting the church that Christ would bring in people as his word was preached. Five years later, the size of the group associated with the congregation standing at the front of the room testified to the truth of that statement. We are seeing the same thing happening in Stranraer, and Friday evening was an encouragement to keep going, looking to Christ to build his church through the preaching of his word.